A company tied to San Francisco investment firm RRE Investments paid $9.15 million for a retail property in Wynwood. 151 NW 24th St Partners LLC, led by general partners Dan Arev of Link Real Estate and Chaim Cahane of Forte Capital Management and equity partner Joe Serure of Jameson Realty Group, sold the redeveloped building at 151 Northwest 24th Street, according to Dwntwn Realty Advisors brokers Tony Arellano and Devlin Marinoff. The buyer, RW NW 24th St LLC, is a Delaware company controlled by RRE’s Tommy Rincon, state records show. Rincon is managing partner of San Francisco-based RRE and a former Redsky Capital associate, according to his LinkedIn profile. Arellano and Marinoff, who declined to identify the buyer, said it is the company’s first purchase in Florida. The buyer financed the deal with a $6.25 million loan from First National Bank of South Miami. Pedro Arellano of America Realty Advisors arranged the loan, according to a release. The building hit the market for $9.85 million and sold within three months. 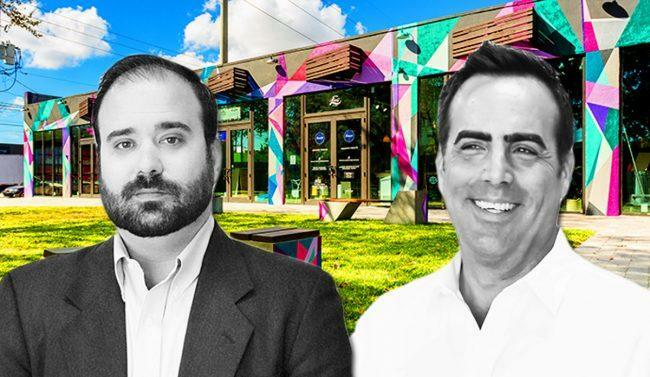 Marinoff and Arellano, who represented both sides of the deal, said that demand for redeveloped retail sites in Wynwood is strong. “Everyone still believes there’s upside in the neighborhood. No one really wants to sell right now,” Arellano said. Property records show the New York investors paid $2.9 million for the site in 2015 and redeveloped the warehouse, built in 1948, into a 6,656-square-foot retail building with seven units ranging from 750 square feet to 1,200 square feet. The 14,500-square-foot property also features a small park and 8,000-square-foot outdoor patio. Tenants include Bianco Gelato, clothing store IKID IKID and the Dirty Rabbit Wynwood Local Bar. The building sold for $1,375 per foot and the land for $631 per foot. The site, just east of Wynwood’s main drag, Northwest Second Avenue, can be developed into up to 92,800 square feet and eight stories under its NRD T5-O zoning, according to marketing materials.